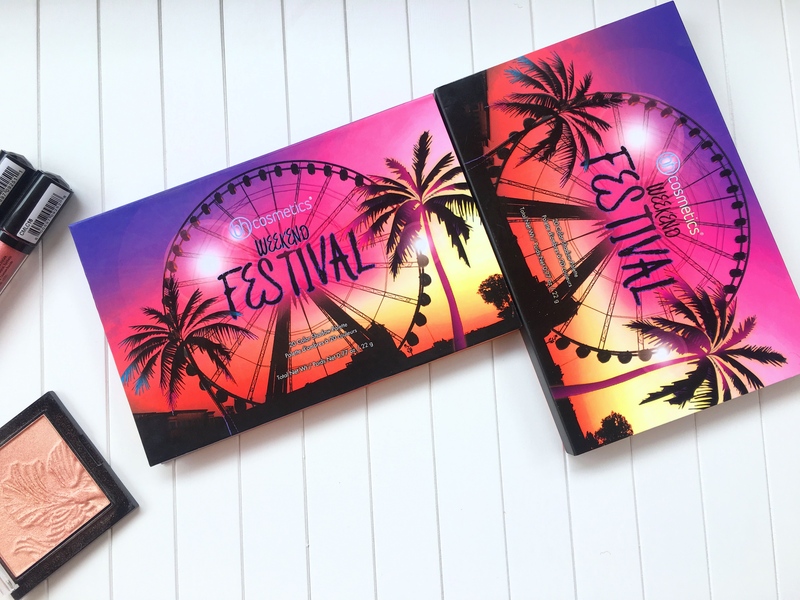 Today I am reviewing the gorgeous BH Cosmetics’ Weekend Festival palette. 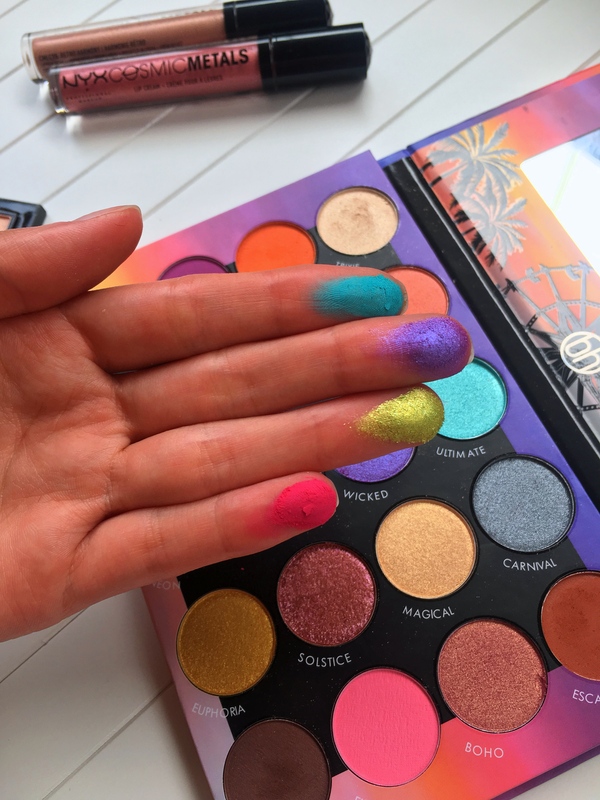 This palette was released this last spring and received a lot of praise so normally, I was very tempted to buy it because Jesus, look at all these gorgeous summery and festive shades. 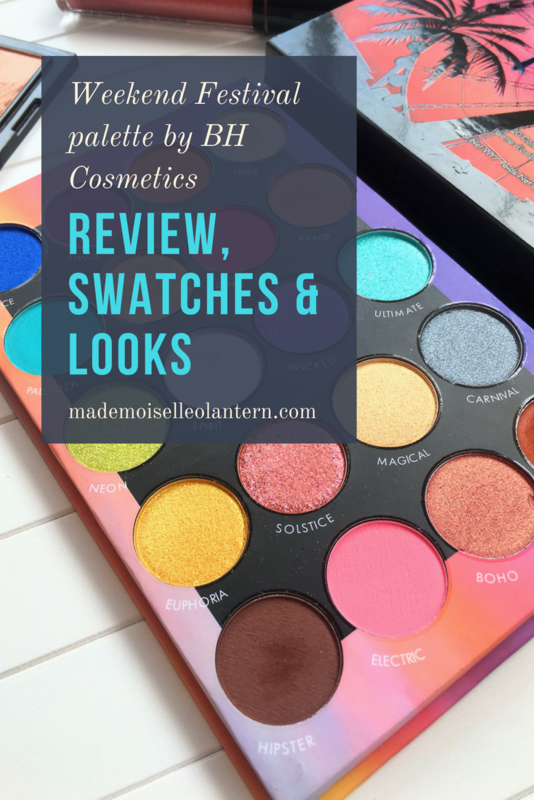 This is the first product I ever buy from BH Cosmetics and I must say, I am very impressed by the quality of this palette. 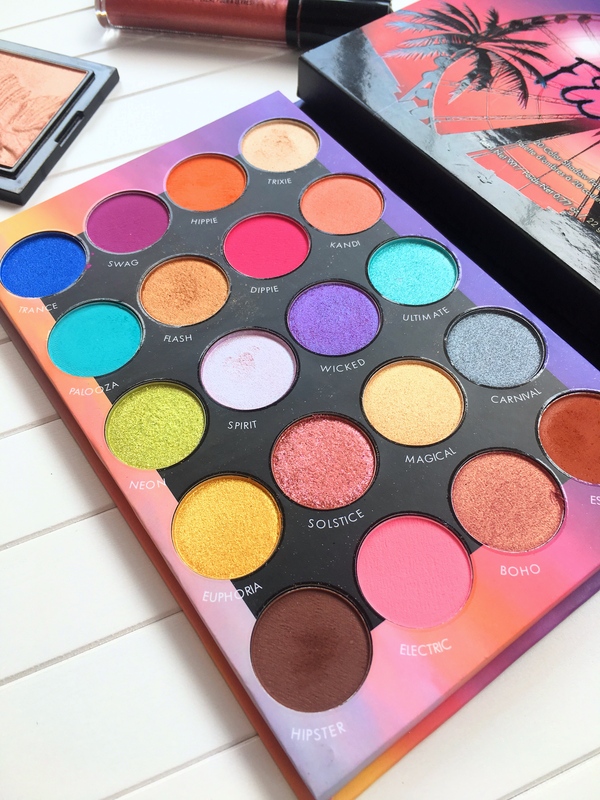 This palette offers 20 eyeshadows of bright and bold colors [7 with a matte finish and 13 with a shimmery finish], each shadows has 1.1g of product, the palette contains a medium-sized mirror and retails for 18$. 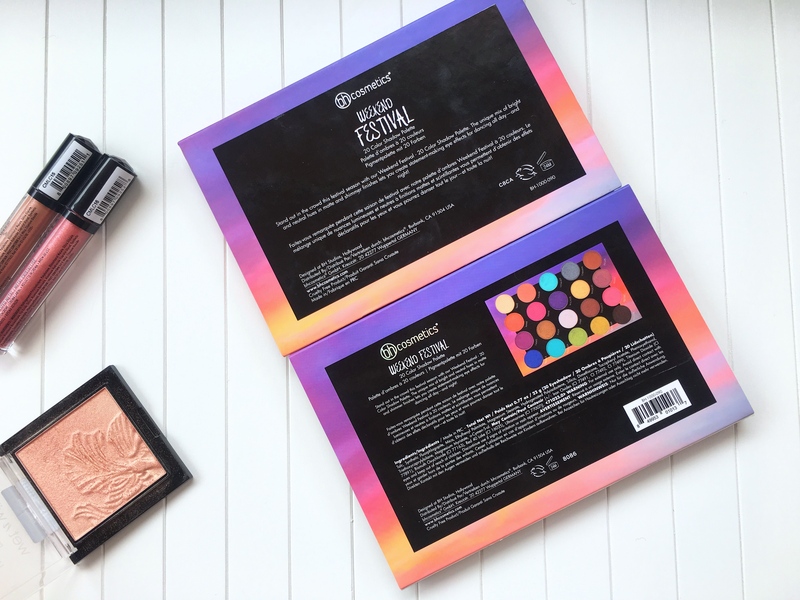 You can find it on beauty bay and this product is of course cruelty-free! The packaging of this palette is absolutely gorgeous; even though it’s for 18$, the palette doesn’t look or feel cheap, in the contrary. 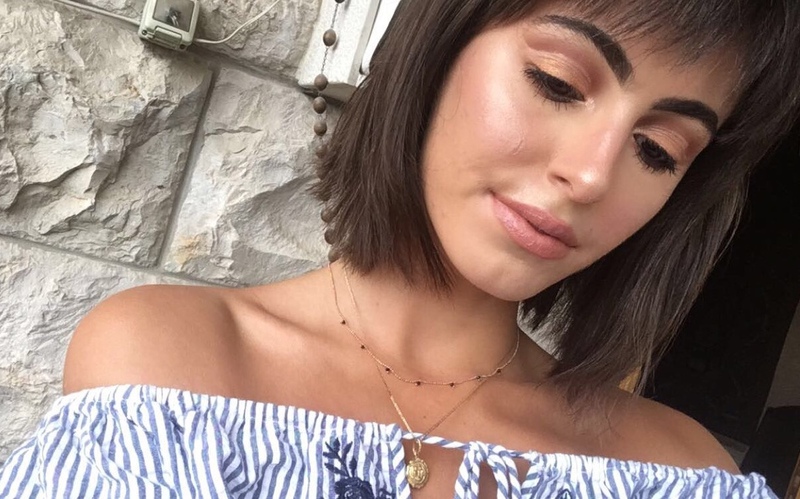 This palette is made out of cardboard and has a magnetic opening [like the huda beauty palette]. When you open it, you have the shades arranged in an orderly fashion with the names written next to each pan and you get a decent size mirror. 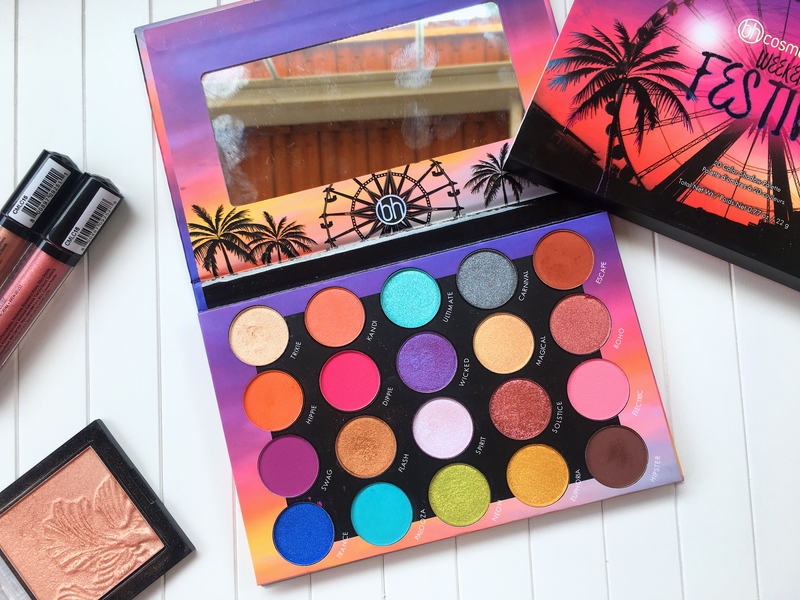 The shades of the eyeshadows definitely scream the world “festival” and they go very well with the sunset colors of the packing. 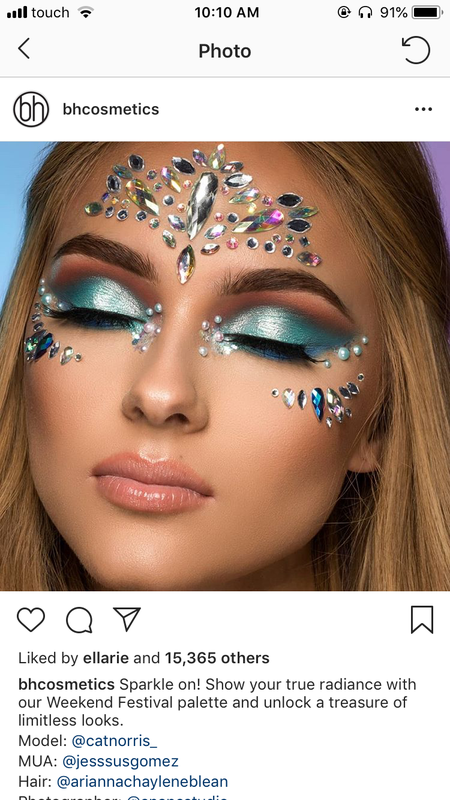 The shades are not deceiving at all, you get what you are promised to get; beautiful, bright, warm colors perfect for a festival. 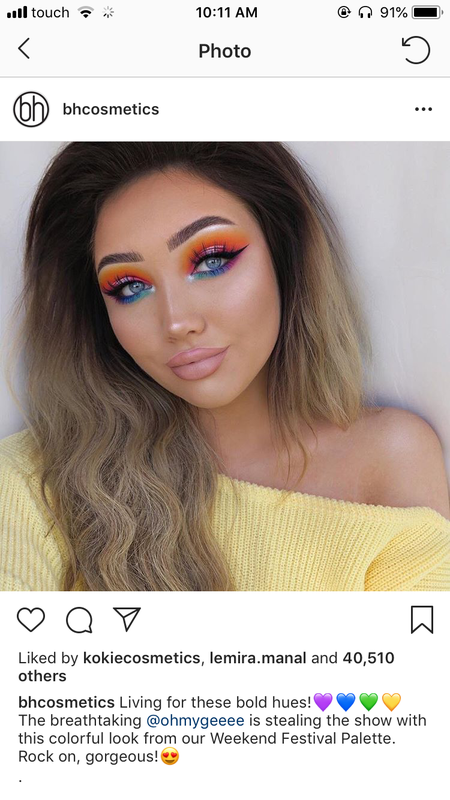 On top of that, the shade selection is amazing because first, all of the shades complement each other, second, you have a good variety of colors which makes it easier to create diverse looks from simple to colorful. The palette comes in a cardboard box that you slide to the right [or left] to get the palette out. This box has the shades and has all of the product information in the back. For 0.9$ the eyeshadow, the formula is insanely good and lives up to its claims: very pigmented and easy to blend. 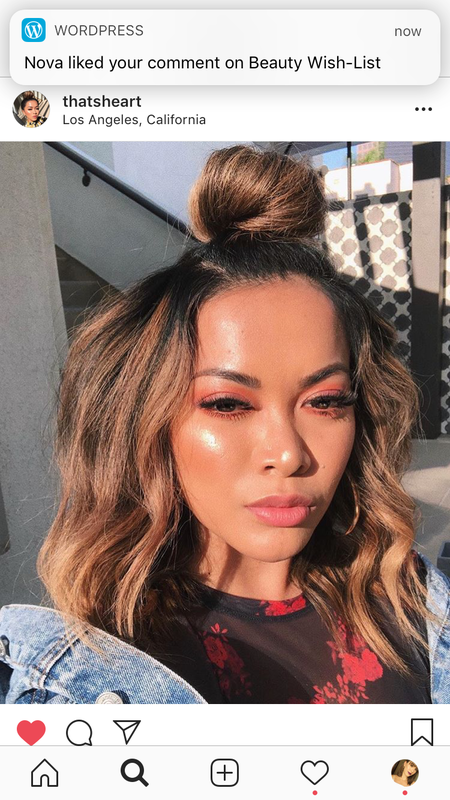 The matte shades perform as good as the shimmery shade, however they are very powdery so make sure you tap off the excess before applying them on your eyes. 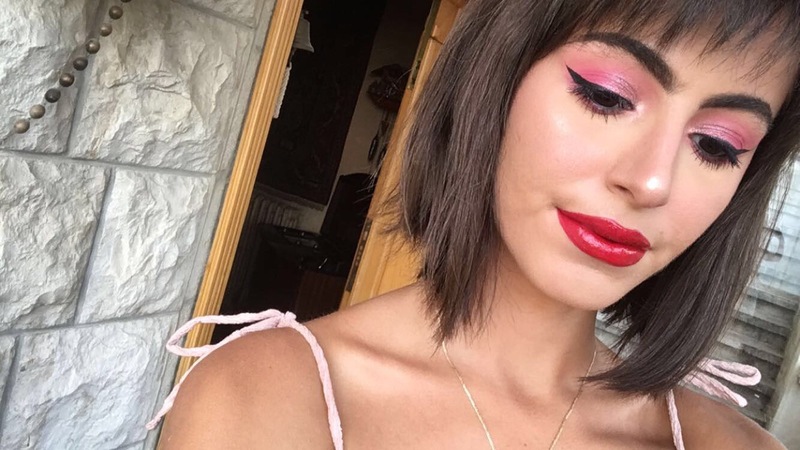 I am impressed by the bold colors like “swag”, “electric” and “Palooza”, they perform very beautifully, don’t look patchy whatsoever and the colors look as bold as in the pan. The only thing that bothers me with this palette, is that they are no transition shade so I feel constraint to use a second palette and find a good transition for the looks I create with this palette. That’s it for today. I hope you enjoyed reading this review and if you did, don’t forget to give this post a ‘like’ and to follow my blog [you can do that by email]. Wow they look so pigmented and lovely!